Dr. G. B. Sarang Principal History(H.O.D.) M.A. (History), M.A.(Sub. Com), Ph.D 25 yrs. Prof. H. P. Thorat Asso.Prof Mathematics(H.O.D.) M.Sc., M.Phil. 27 yrs. Dr. A. J. Awati Asso.Prof Geography(H.O.D.) M.A., Ph.D. 25 yrs. Dr.S. S. Patole Asst.Prof Marathi(H.O.D.) M.A., M.Ed.,M.Phil,Ph.D. 25 yrs. Dr. V. S. Shinde Asso.Prof Hindi(H.O.D.) M.A., Ph.D., 25 yrs. Dr. S. S. Nale Asso.Prof Economics(H.O.D.) M.A., M.Phil,Ph.D 25 yrs. Prof Ms. M. V. Jeurkar Asst.Prof English M.A. 25 yrs. Prof. D. D. Agam Asst.Prof Geography M.A., B.Ed. 25 yrs. Dr. C. R. Salunkhe Asst.Prof Commerce(H.O.D.) M.Com., M.Phil,Ph.D	 23 yrs. Prof. M. K. Kelkar Asst.Prof Accountancy M.Com., D.B.M. SET 5 yrs. Dr. B. G. Yadav Asst.Prof English M.A.Ph.D 23 yrs. Dr. A. M. Shaikh Asst.Prof Zoology (H.O.D.) M.Sc., Ph.D. 11 yrs. 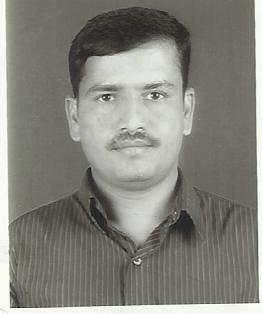 Dr. R. S. Bhalerao Asst.Prof Zoology M.Sc., Ph.D. 7 yrs. Prof. Mr. S. K. Ghumbre Asst.Prof Chemistry(H.O.D) M.Sc., NET/GATE	 7 yrs. Dr. S. M. Bhagat Asst.Prof Chemistry M.Sc., Ph.D 5 yrs. 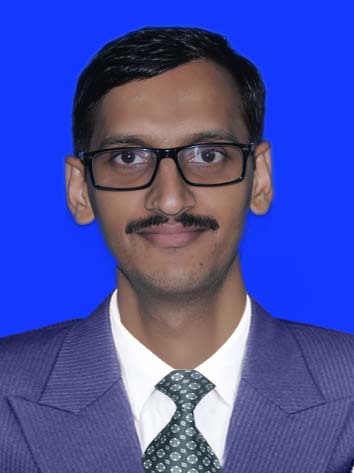 Mr. S. S. Sagar Asst.Prof Chemistry M.Sc., NET 5 yrs. Mr. S. S. Kekane Asst.Prof Chemistry M.Sc., NET 3 yrs. Dr. A. V. Patil Asst.Prof Physics(H.O.D.) M.Sc.,Ph.D. 3 yrs. Mr. S. V. Maske Asst.Prof Physics M.Sc., NET 3 yrs. Dr. Y. B. Khalate Lecturer Economics M.A., B.Ed,Ph.D	 4 yrs. Dr. D. S. Karle	 Lecturer History M.A., SET 2 yrs. Prof. S.A.Guhagarkar Lecturer Botany M.Sc. 2 yrs. Prof. A.S.Pangarkar Lecturer Account M.Com. 1 yrs. Prof. S.A.Momere Lecturer Commerce M.Com. 1 yrs. Prof. R.S.Shet Lecturer - - 1 yrs. Prof. Sachin Bhosale Co-ordinator I.T./B.M.S./C.S. M.C.M. 15 yrs. Mr. Vinayak Pujari Lecturer I.T./C.S. M.C.A. 4 yrs. Mr. Amit Jadhav Lecturer I.T./C.S. M.Sc (Computer-Science) 4 yrs. Prof. Mrs.Vijaya Barphe Lecturer B.M.S. B.Sc,B,Ed,P.G.DMLT,M.B.A. [IT] 3 yrs. Prof.Mr.Shrikant S. Mohite Lecturer I.T./ C.S. M.C.M. 4 yrs. Prof. Mr. Shashikant P. Patil Lecturer IT/CS. M.C.A. 13 yrs. Prof. Ashwini G. Salunkhe Lecturer IT/CS. M.C.A. 1 yr.
Prof.Anita P. Mane Lecturer Computer Science M.C.A. 2 yr.
Prof. Mamata M. Ghadashi Lecturer B.M.S. M.C.A. 1 yr.
Prof. Mr.Divyesh Ganesh Nagarkar	 Lecturer B.M.S. M.C.A. 2 yr.
Prof. Mrs.Poonam Machindranath Mane	 Lecturer IT/CS M.C.A. 1 yr.
Prof. Ms.Namita Vinod Kolage Lecturer IT/CS M.Sc. (Computer Science)	 1 yr.
Prof. Mr.Rohan Shridhar Khedekar Lecturer IT M.Tech(D.S). 1 yr.
Prof. Mr.Prashant Sandeep Surve Lecturer - M.B.A. 1 yr.
Prof. Mr.N. H. Mullaji Lecturer B.M.S. M.B.A. 1 yr.
Prof. Mrs.Mayuri Arunrao Wable Lecturer - M.A. 1 yr.
Prof. Mrs.Ashwini Vasant Kadale	 Lecturer - M.Sc(M.Ed) 1 yr.
Prof. Mr.kazim Tajuddin Tisekar	 Lecturer - M.Com 1 yr.
Prof. Ms.Shahista Tajuddin Tisekar Lecturer - M.Com(B.Ed) 1 yr.